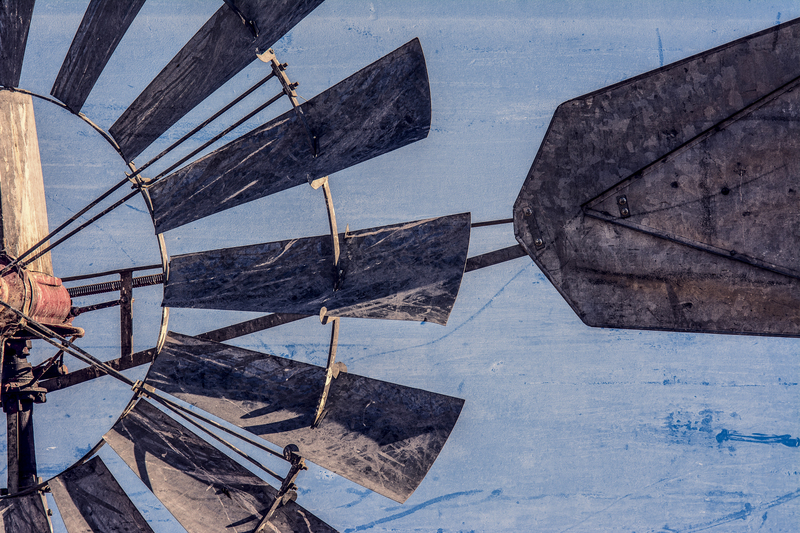 Like the cow I posted a couple of days ago, this old windmill is somewhere in the Sierras near Portola. I took it with my 600mm lens just after a red tailed hawk flew off one of the blades. I decided I liked the composition so I edited it in On1 Effects 10 to make it a bit more interesting. This entry was posted on November 1, 2015 by Carol Smith. It was filed under Uncategorized . Cool shot with interesting composition! Really like it!